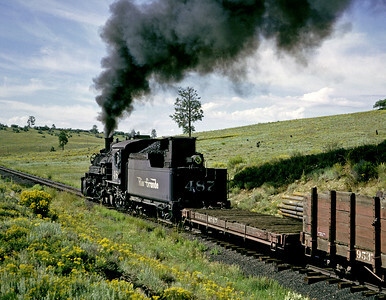 These are pictures of the DRGW narrow gauge taken between 1960 and 1968. 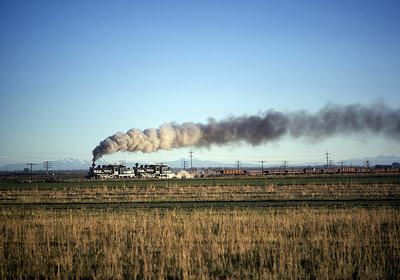 Not only was this the last steam powered "mainline" in the U.S., its fleet of mostly old wooden cars made it a veritable museum of old time railroading. 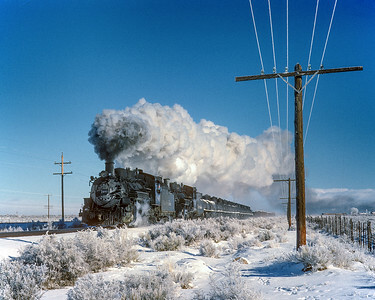 And if this were not enough to make it interesting, the line climbed over 10,000 foot Cumbres pass, one of the highest railroad passes in North America. 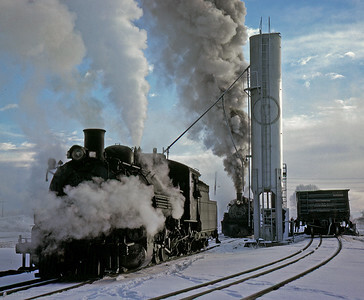 Winter operations occasionally required the use of steam powered rotary snowplows to keep the line open. 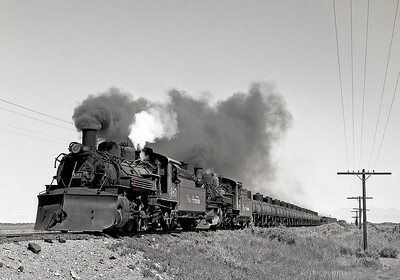 In the early 60's the line was still relatively busy, but after about 1964 business declined, the line closed during the winter months, and train operations became less frequent. 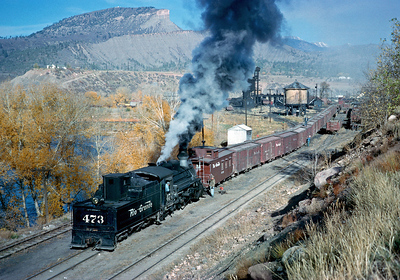 Freight operations were abandoned in 1968, but the Rio Grande retained the Silverton Branch for tourist service, and the segment from Antonito, Colorado over Cumbres to Chama, New Mexico was sold to a bi-state agency for development as a tourist railroad. 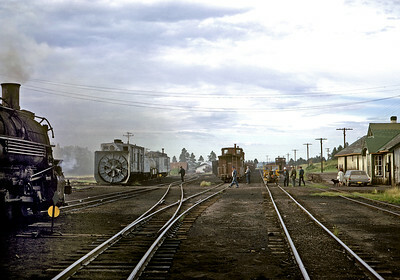 The only parts that were actually torn up were the mainline between Chama and Durango, and the branch to Farmington. 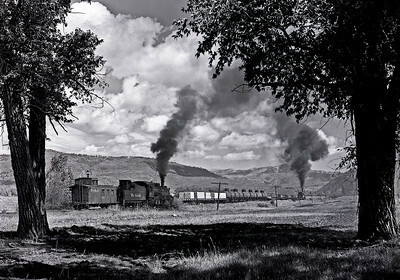 My pictures have been more or less arranged geographically, from Alamosa to Durango.